Happy Global Running Day friends! I already logged in my 6 miles (woohoo!). It was warm but I hydrated well, listened to some encouraging Podcasts and I'm thankful to be done with the miles I pledged to run. 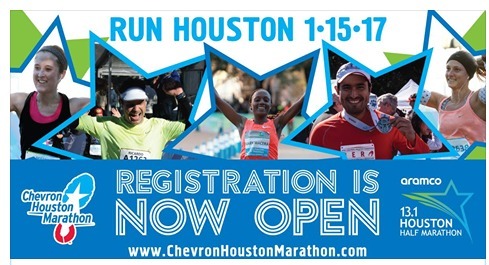 The big news of the day is that Open Registration for the Chevron Houston Marathon and all other races started this morning. If you ever dreamed of running a marathon, a half-marathon or a 5K, I encourage you to register. When I first registered in 2003, I entered the old lottery system. I was so excited to receive my confirmation! The Houston Marathon has really added a lot of good to my life. Click here for more information and to Register. 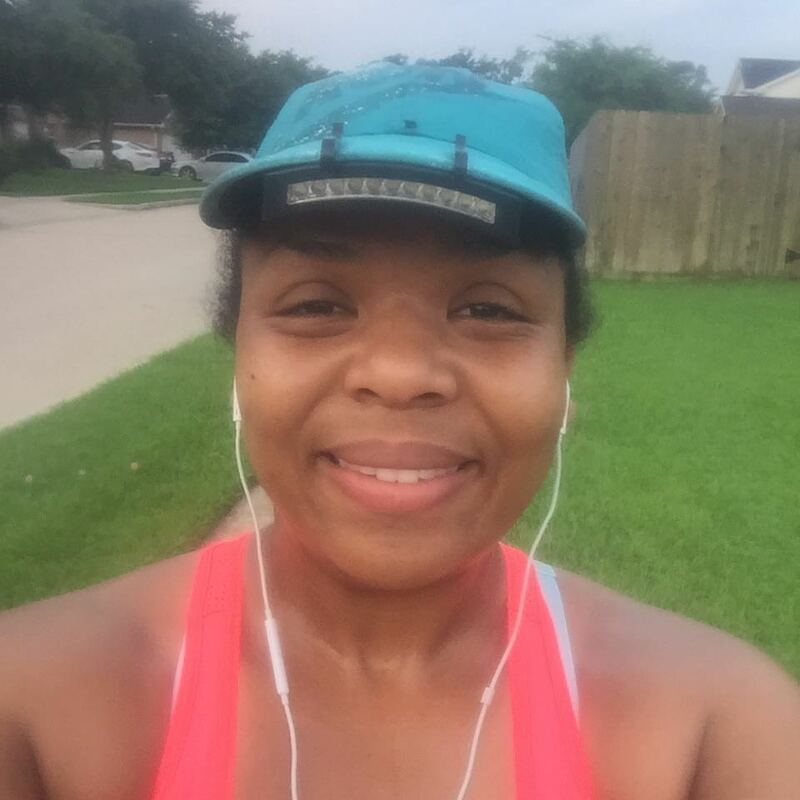 6 miles logged for Global Running Day! For Rules and more information, go to the Chevron Houston Marathon's Facebook Page. And let me know if you enter the contest so I can vote for you. If you are running outside this summer, be sure to hydrate before, during and after your run. I am being super strict about my water quantity because it makes a world of different. I also bought a new water bottle, which was about that time. I opted for a belt, so for the first time in a long time, I'll run hands-free. You can totally expect more waving and more high-fives from me this season. Haha! 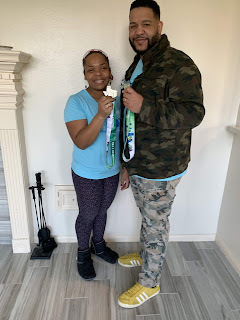 I am 17 weeks away from my goal half-marathon for the year. I am going for a PR which means I am changing my training plan and eating plan. I do need your prayers and encouragement. I don't want to cruise or get worse in running. I do want to become a more effective runner. Have an amazing day friend. Be active today. It doesn't take much but it does take a some moving on your part. You can totally do it!